October on the calendar means it’s perfectly acceptable to talk about Christmas right? I hope so, as that’s exactly what I plan to do today as I review the amazing book A Very Pompom Christmas from GMC Books. 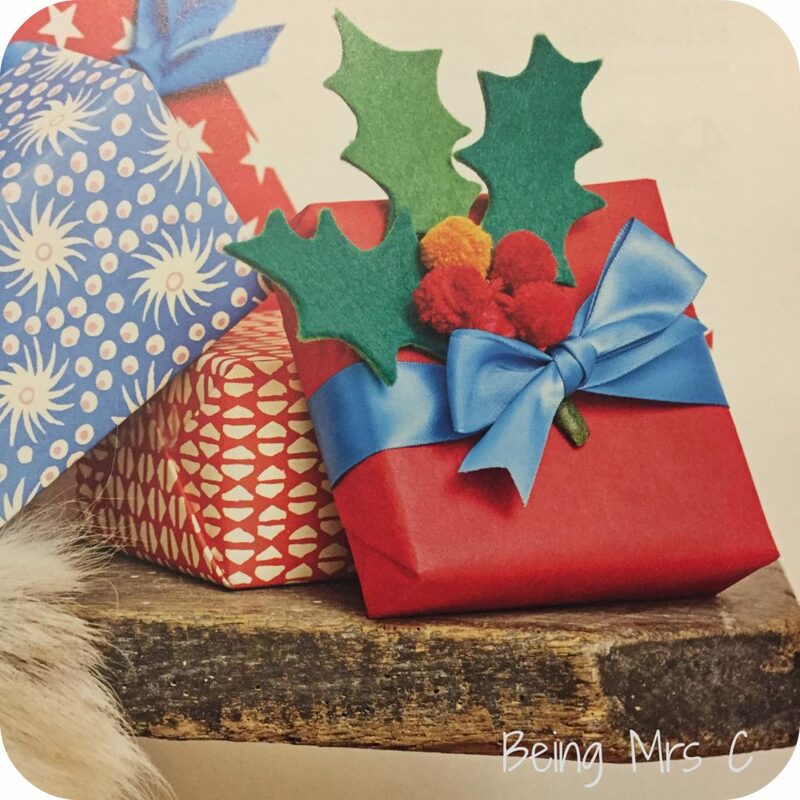 Written by Jemima Schlee, the subtitle of this book is 20 festive projects to make, and that’s exactly what it is. Now, I’ve come across Jemima Schlee before after picking up one of her previous books, Take a Tea Towel on a GMC stand at Knitting and Stitching, and so I had rather high hopes for this book and they were certainly met by it. I love a Pompom. There’s just something about them that makes you smile when you see them. And making them can be incredibly therapeutic. I remember at primary school being taught how to do so by cutting circles from cardboard, but nowadays you can either buy a plastic version of this, or go in for one of the new style pompom makers which are absolutely fantastic. I discovered these when I went to a pompom workshop at Kirstie’s Hamdmade Fair a few years ago and as soon as I’d had them explained to me I was hooked and went and bought four of them in different sizes immediately! Towards the back of A Very Pompom Christmas is a section covering all you need to know about making pompoms for all the projects in the book. Not only does it cover how to use the fancy pompom makers that I’ve mentioned above, but it also details how to make multiple super-quick pompoms (by wrapping yarn around a pad of A4 paper! ), extra large quick ones (with a whole ball of wool) and extra small quick pompoms (on a fork of all things!) You certainly don’t need to already be a pompom expert to get the most out of this book. All contain some wonderful projects, with superb, clear instructions so that you know exactly what you need to do and how to do it. I have to admit that I would never have though of using Pompoms to decorate parcels that I’ve wrapped, but I’m thinking that this year I may be limited somewhat to plain brown paper (mainly the stuff you get inside a box from Amazon) so pompoms on the ribbon around it would really brighten things up. 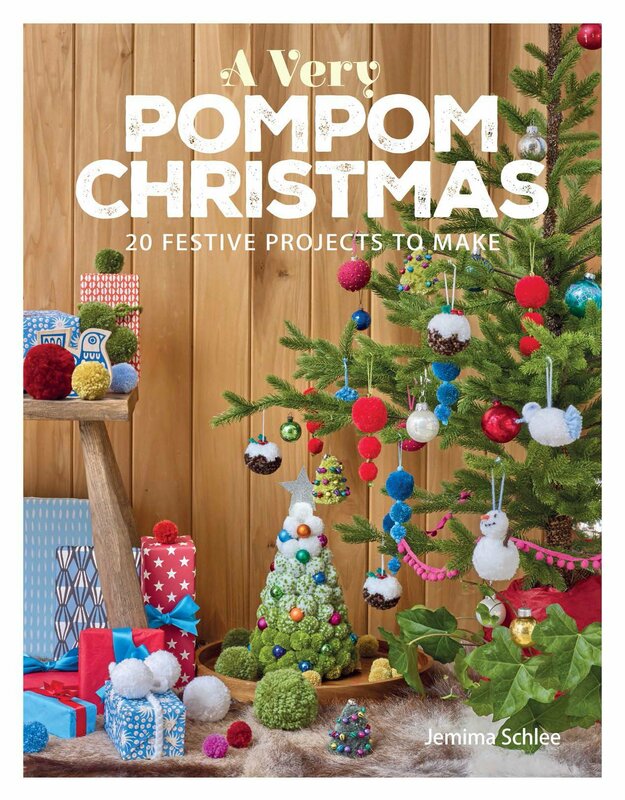 My track record of being organised enough to craft in the run up to Christmas isn’t gratin but I’m definitely thinking that some therapeutic pompom making might be in order this year. 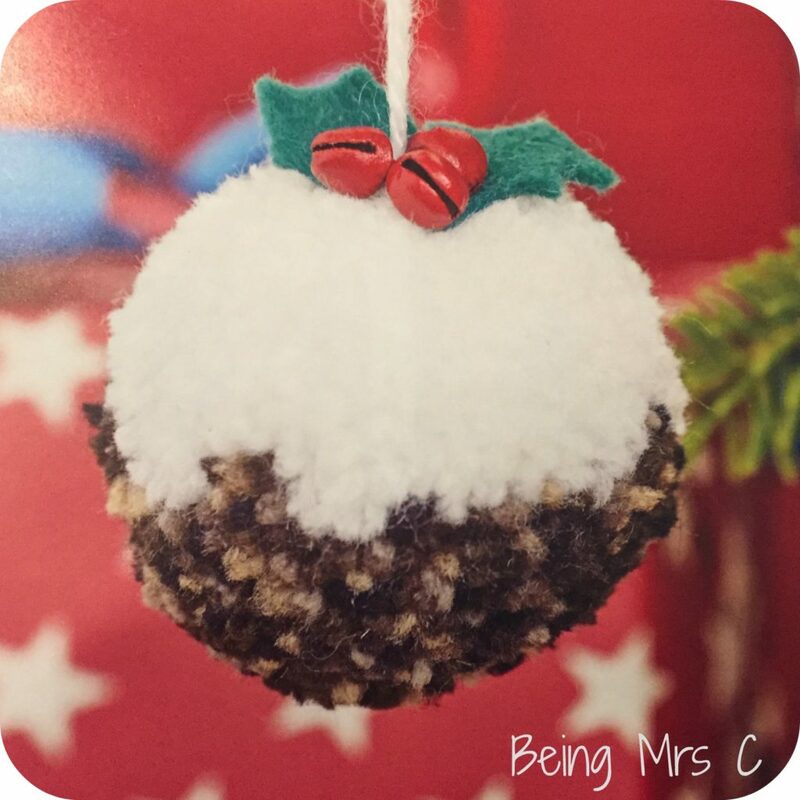 I’m also desperate to have a pompom Christmas pudding on my tree this year. It’s seriously one of the cutest things I’ve ever seen. Thrifty and handmade are likely to be key themes in my house this Christmas, so what better way to start than with some pompoms. A Very Pompom Christmas by Jemima Schlee is published by GMC Books in November 2017, priced at £9.99. ISBN 9781784943875. Disclaimer: I was sent a copy of A Very Pompom Christmas for the purposes of this review. All opinions remain my own. This post contains affiliate links.